Join the 10,000+ Smiles Transformed with Braces & Invisalign at McDade Orthodontics! Dr. McDade is 5-star-rated Camarillo, Oxnard and Santa Barbara Invisalign orthodontist. Let’s face it, both adults and children can feel self-conscious about wearing braces. Invisalign offers you the ability to achieve the same results as traditional metal braces, but without your friends and loved ones noticing. Invisalign helps adults that are often in front of board meetings and even the media, as Invisalign is a discreet type of orthodontics to straighten your teeth. Invisalign uses advanced 3-D computer imaging technology to map your progress from the beginning to the end. You can even preview how your new smile with look once orthodontic treatment is complete! 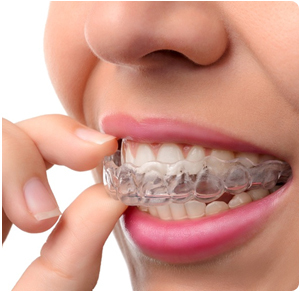 During your initial consultation, Dr. McDade will be able to help you determine if Invisalign is a good fit for you. Schedule Your Free, No-Obligation Smile Consultation With Our Camarillo, Oxnard & Santa Barbara Invisalign Orthodontist Today! Join the over 10,000 happy smiles transformed at McDade Orthodontics! Call 805.485.3200 to schedule your free, no-obligation smile consultation with our 5-star-rated Camarillo, Oxnard or Santa Barbara Invisalign orthodontist. To request your consultation online, click here.